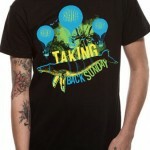 Taking Back Sunday is a rock band which hails from Amityville, New York. The band was formed in the year 1999 by guitarist Eddie Reyes. The current members of the band are lead vocalist Adam Lazzara, lead guitarist and backing vocalist John Nolan, rhythm guitarist Eddie Reyes, bass guitarist Shaun Cooper and drummer Mark O’Connell. The band released their first eponymous EP in the year 2001 before releasing their debut studio album ‘Tell All Your Friends’ in 2002. Their EP wasn’t that successful which led the band to seek a new lead singer. It was then when Adam Lazzara was hired. 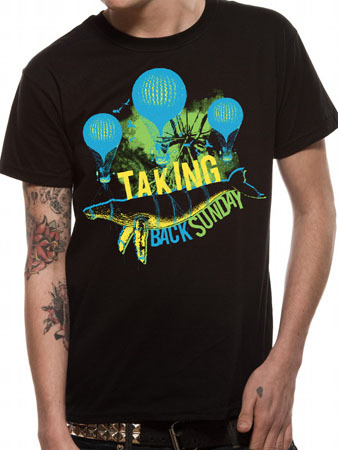 Taking Back Sunday came up with their 2004 release ‘Where You Want to Be’ which peaked at #3 on Billboard 200.The band achieved mainstream success with the help of their 2006 release ‘Louder Now’. The popular single ‘MakeDamnSure’ helped the album to peak at #2 on Billboard 200. The album has sold over 900,000 copies. The band has so far released five studio albums.